Enter your name and email to download the full Press Release. Norwich, June 6, 2016 –Snelling Business Systems have been awarded the contract for classroom AV equipment, installation, and commissioning, and refurbishment of the existing AV at the Michael Ashcroft Building, Chelmsford Campus. The tender framework was based on the SUPC AV framework (LOT 3), to which Snelling Business Systems is an accredited supplier. Jack Wilders, Key Account Manager for Anglia Ruskin University said “Following a very thorough selection process, which included an interview and presentation to elaborate upon our recommendations and specifications. In arriving at their decision, a range of factors including technical design, costs, and planned project management were considered”. Norwich, May 16, 2016 – Snelling Business Systems have been awarded the contract for a new Audio Visual system within the main lecture theatre of the Sainsbury Laboratory in Cambridge. The laboratory supported by the Gatsby Foundation and part of the University of Cambridge, aims to elucidate the regulatory systems underlying plant growth and development. Jack Wilders, Account Manager at Snelling Business Systems said “We are delighted to announce the successful award for the commission. We have witnessed unprecedented growth across East Anglia. The Sainsbury Laboratory project marks our commitment to further strengthen our presence as a leader in Cambridge and across East Anglia. We are confident we can develop a flagship lecture theatre at The Sainsbury Laboratory”. Enter your name and email to download the Press Release. Norwich, May 16, 2016 – Snelling Business Systems have launched their all new brand identity today at the IET Savoy Place in London. IET Savoy Place is the flagship project completed by Snelling in 2016 and covers building wide AV and IT infrastructure. We have grown manifold and very rapidly in our national standing. Along the way, however, we realised our story behind the scenes, and why it really matters to you was never sufficiently portrayed. The little known facts that have always held us in good stead as a partner for our clients. Steve Royans, Business Development Director: “It’s about time we told our story and why it matters to you”- why we are good at what we do, and more importantly, how we make audio visual/IT investments deliver better results for our clients. As we took stock of feedback from clients, consultants, suppliers, and our own staff, we re-affirmed our view that we needed to do more to accurately portray our success as a business and the very distinct value we can deliver. Following an eight month long rebrand process, Toby Wise, Managing Director says “The new identity reflects who we are and what we stand for. A brand name established in 1954 and built on the foundations of one man’s mantra: Customer first! That hasn’t changed. We’re a forward looking, forward thinking company who have grown rapidly on the back of our exceptional service offered to the Corporate and Higher Education audio visual market. Our new identity seeks to reflect this with an equal emphasis on our history, heritage and the customer service-led culture we continue to carry forward from Roy C. Snelling. We look forward to setting an example as a forwardthinking business with a firm grasp on its ideals and ethics. A company with a reputation for customer service at its heart; delivering systems for audio visual excellence combined with operational simplicity”. Snelling Business Systems is delighted to announce that it has been appointed as the Audio Visual supplier for the University of Westminster. Founded as Britain’s first polytechnic in 1838, it gained university status in 1992 and has since developed into a respected university, which is closely involved in business, professional and academic life within London, as well as overseas. 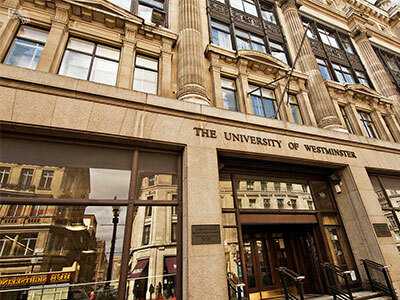 The University of Westminster has a strong and historic commitment to promoting equality and embracing diversity, and prides itself on providing a vibrant learning environment, with a focus on fostering innovation and creativity for its 22,000 students. Part of this passion is a commitment to deliver outstanding teaching facilities, for which Snelling Business Systems has been appointed to deliver all AV requirements during a five year framework. The agreement will see Snelling deliver the technology updates for approximately 350 AV-enabled teaching spaces. The project will be managed by leading consultants, Hewshott International who were responsible for developing the room standardization, and will comprise standard, enhanced, specialist and custom spaces, combined with the implementation and on-going development of a touch panel interface, centralised monitoring and management system and estate wide service and maintenance, with dedicated on-site Snelling presence. There is no doubt 2015 has been a very good year marked by robust year-on-year business growth and several new clients. 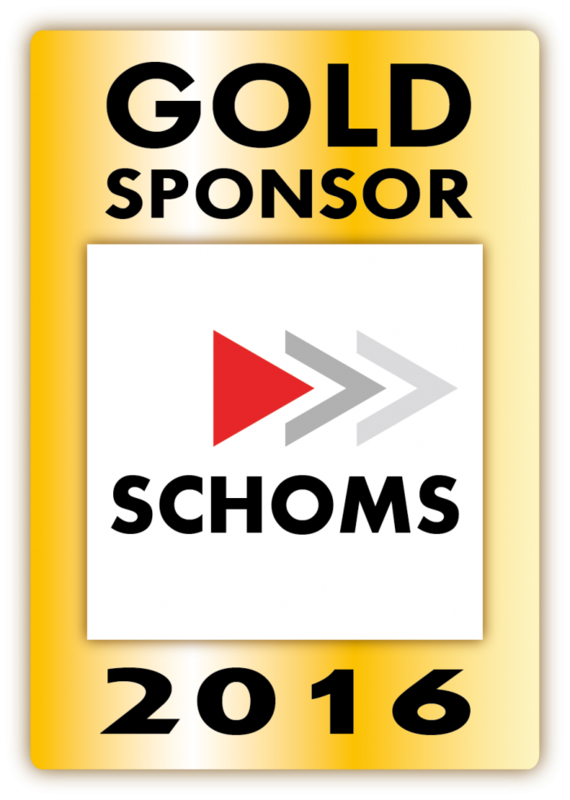 A sizeable proportion of this growth has come from Higher Education, and renewing our Gold Sponsorship for the SCHOMS 2016 Annual Conference marks our on-going commitment to continue working with our existing and new clients within the Higher Education space. In 2016, SCHOMS Annual Conference will be bigger than ever before with over 40 UK HEIs. Attendees of the conference usually range from Directors and Heads of Service to Operational Mangers. The group is comprised of some of the UK’s most influential buyers in the AV and IT Higher Education Sector, who are also involved in proactively influencing innovation and change in their own institutions. For the first time,members of other professional bodies have also been invited to attend the exhibition, such as AUDE, UCISA and SCONUL. The Exhibition is a highly valued part of the Annual Conference and is designed to achieve a sensible ratio of buyers and suppliers to allow constructive conversations, exchanges and networking to take place. We are very keen and looking forward to the SCHOMS Annual Conference and hope to see you there. We will be sharing updates about our exhibits closer to the date. Find out more about SCHOMS.